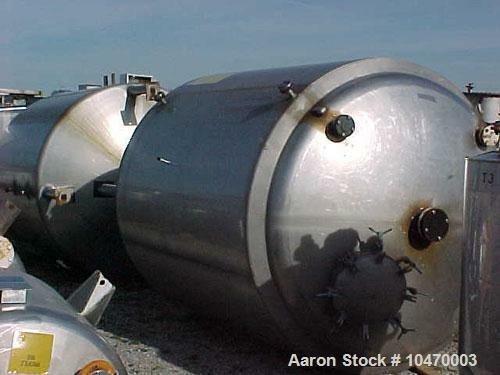 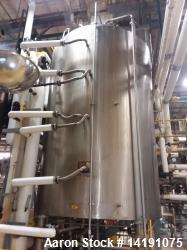 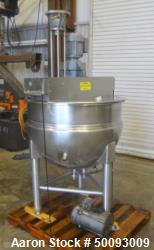 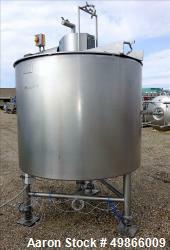 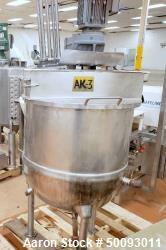 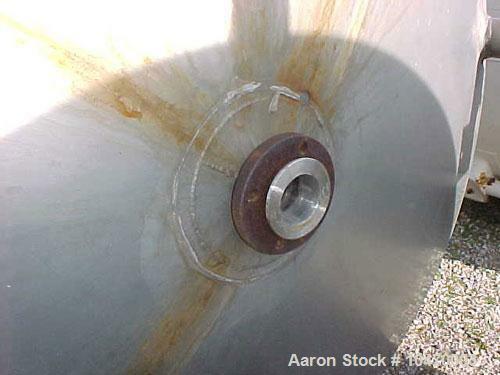 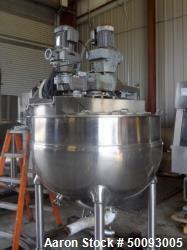 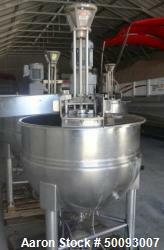 Used-2000 Gallon Paul Mueller Jacketed Mix Tank. 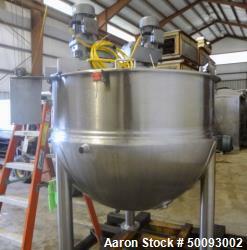 Used-2000 Gallon Paul Mueller Jacketed Mix Tank. 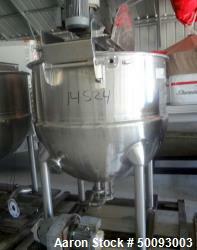 316L stainless steel, model F. Internal pressure 15 psi at 250 deg F, jacket 75 psi at 250 deg F steam or hot water. 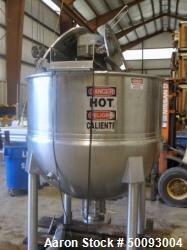 Overall height 13', straight side 95", 7-3/4' diameter, 3" bottom center drain, 12" off floor. 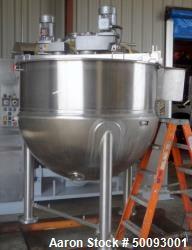 Top has 4 flanges and 18" manway. 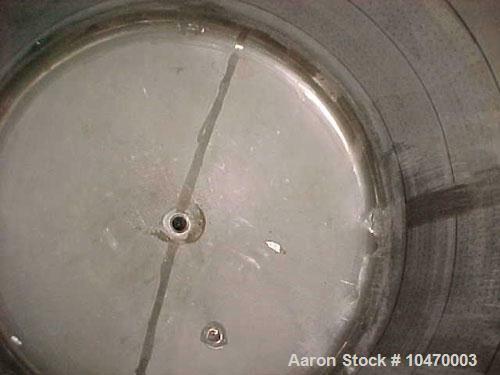 Flanges (1) 4", (1) 3", (2) 2", 3/4" thermowell in bottom, 4" top center flange for agitator (no agitator included). 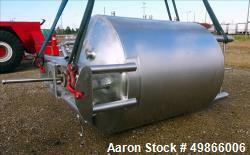 60.78 square feet of jacket on bottom half of vessel. 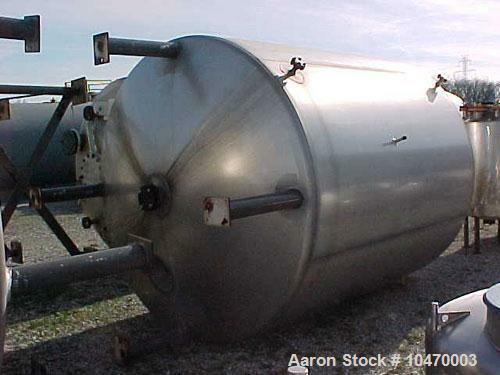 Shell is 12 gauge 316L stainless steel, stainless steel outer shell.